So we’re back at last from our marathon European adventure and we couldn’t have asked for a better vacation. This photograph is taken from the second leg of our journey, where we stayed in a beautiful villa just outside Nimes in the south of France. This was my third time visiting the region, my husband’s second, but the first for our three children, and one of the places that I most wanted them to visit was the spectacular village of Les Baux de Provence. People have lived in Les Baux for many thousands of years BC. The village as it is now is carved out of stone, with an impressed fortification at the top, and steep, winding, cobbled streets full of tiny cafes and shops. Although pretty warm, it was a brutally windy day when we visited, with sand and dust swirling around us. 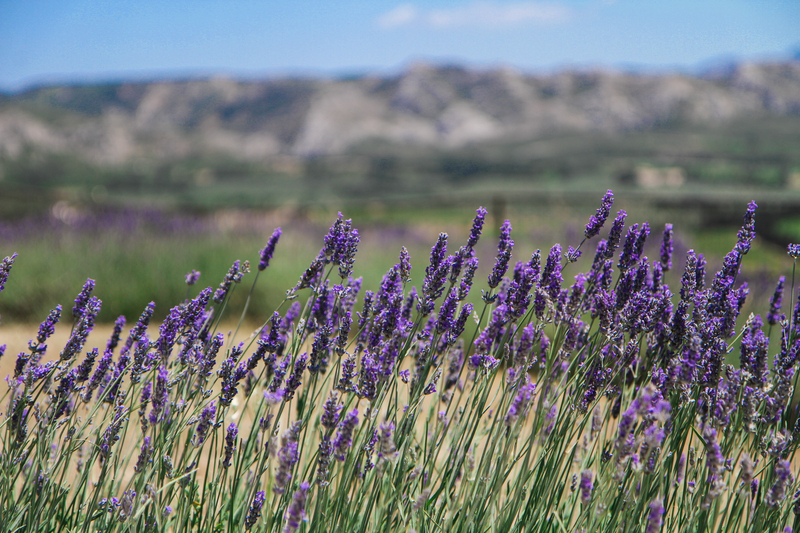 Although we were a few weeks early for Provence’s lavender season, some of the flowers had begun to bloom on this rocky outcrop. I took this image looking out from the top of the village towards the Alpilles mountains, focusing on the purples of the budding flowers. This photograph was taken at around 1 o’clock in the afternoon in full sun so my ISO was set at 100. I used my Canon 17-55mm f/2.8 lens, with my aperture set to f/2.8 as I knew I wanted to achieve a shallow depth of field to highlight the lavender, but still give an impression of the azure blue sky and the mountains beyond. Due to the intense sunlight my shutter speed was then adjusted to 1/2000. Post processing back home in Lightroom 4, I increased the contrast, and decreased the highlights, then finally adjusted the luminance and saturation of the blues and purples in the image. Double click on the photograph to see all the details in their full glory. On a summer day in Western NY, there is no better place to be then outside enjoying the natural scenery. Even in the city of Buffalo, we are blessed with an amazing park system that puts you one on one with nature, just steps from the hustle and bustle of the city streets. 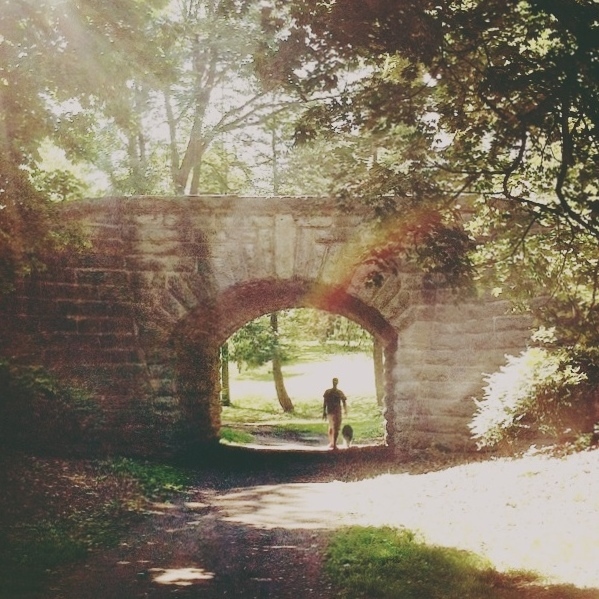 With a couple hours of “me time” the other day, I was thrilled to happen upon this man and his dog just heading out through the tunnel. I had captured them earlier playing fetch down by the lake, but the lighting in this picture just made me giddy with excitement! It also happens to be one of my favorite locations in Delaware Park. In the winter you will find us sledding and sipping hot cocoa at this exact spot. I shot this photo with my iphone 4 in the late morning. As you can see, there was plenty of sun. The edit was done in the snapseeed, mextures, and lens flare apps. I cropped to a square, played with the overall saturation, contrast and brightness, added a bit of texture and enhanced the natural sun flare.